This complex of protected lands provides a much-needed refuge for birds and wildlife in the face of sea level rise, increasing development, and intensifying land use in southern New Castle County, and highlights that the whole is greater than the sum of its parts. In the late 1960s, and prior to the passage of the Delaware Coastal Zone Act of 1971, Delaware Wild Lands began working in earnest to protect the Delaware Bayshore immediately south of the Chesapeake and Delaware Canal from further industrial development. 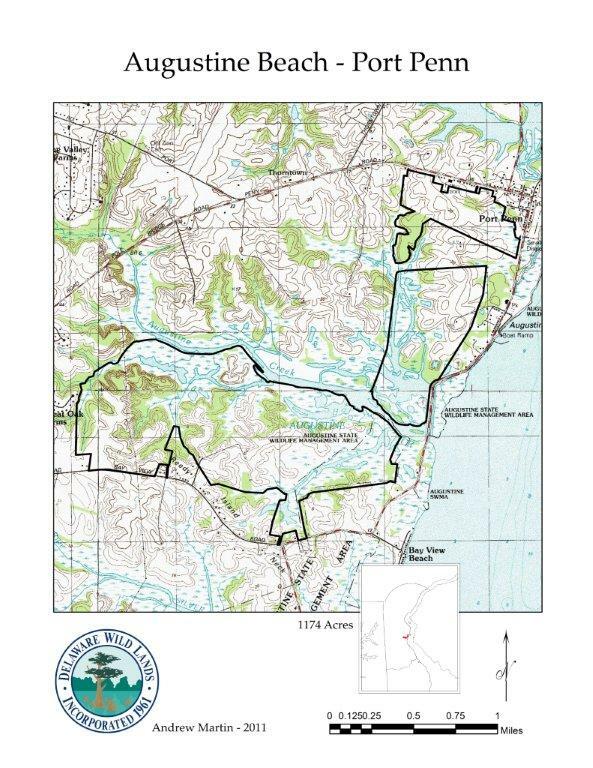 Our initial land acquisitions focused on the Thousand Acre Marsh and Augustine Creek. 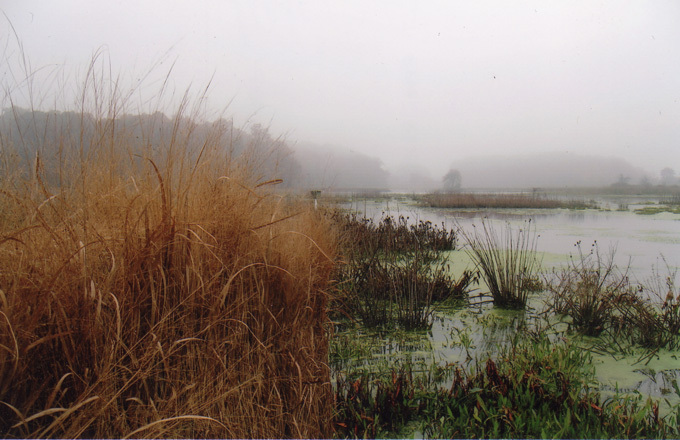 In the vicinity of the Thousand Acre Marsh, Delaware Wild Lands acquired and conveyed to the State of Delaware the 300-acre Lang property north of Port Penn, that now forms part of the State of Delaware’s Augustine Wildlife Area. To the south, near Augustine Creek and Silver Run, Delaware Wild Lands acquired and conveyed to the State of Delaware an additional 500 acres of land that now forms the Augustine State Wildlife Management Area near Bay View, Delaware. Though these properties were conveyed to the State of Delaware, Delaware Wild Lands’ commitment to conservation in this area persisted. Over the next twenty-five years, Delaware Wild Lands’ persistently negotiated the acquisition of the 240-acre Armstrong Farm, including a large Great Blue Heron colony. 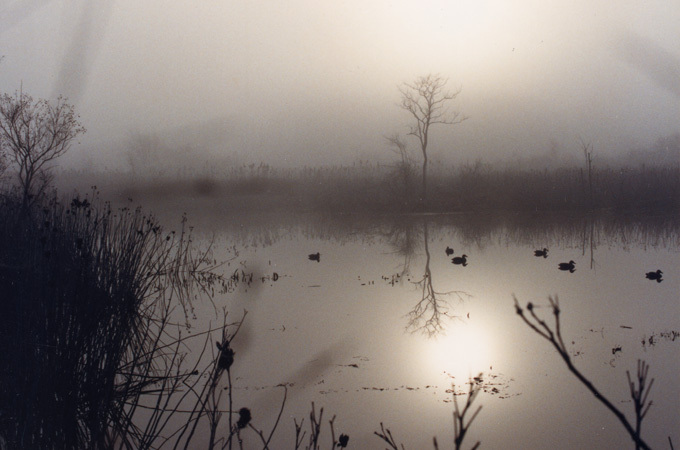 Freshwater wetlands and forestlands on the property teem with a diversity of waterfowl, shorebirds, songbirds, birds of prey, deer, otter, and small game. Adjacent to the Armstrong Farm lies the 430-acre Betts Farm, which Delaware Wild Lands purchased in 1987. From the porch of the Betts Farm house, one can gaze over the expansive farmland and salt marsh to barges travelling along the Delaware Bay. These two properties are comprised of more than a mile of Creek frontage that forms the core of Delaware Wild Lands’ Augustine Creek freshwater marsh complex. 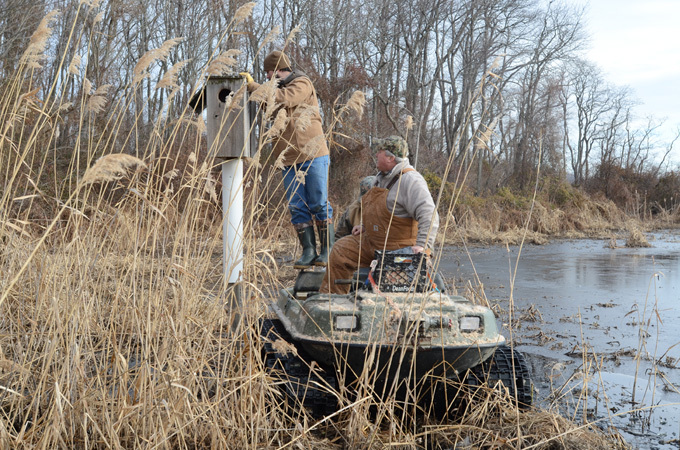 Delaware Wild Lands initially installed 50 wood duck nesting boxes on these properties and, today, our volunteers maintain and monitor more than 300 wood duck nesting boxes and a series of bluebird boxes on these farms. 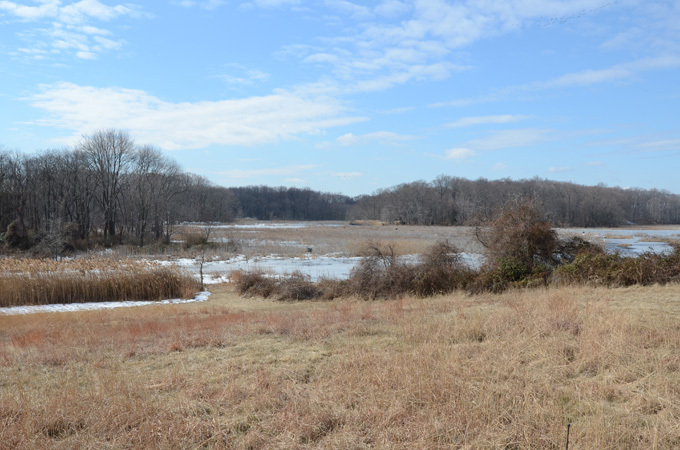 With the subsequent purchases of the Kux Farm and Harvey Moore Farm, Delaware Wild Lands’ Augustine Creek land holdings now include over 1,200 acres of impounded freshwater marshland and upland forest. Do you see the forest for the trees? Welcome to the Sharp Farm! What ecosystems do you see? Who lives in the woods? 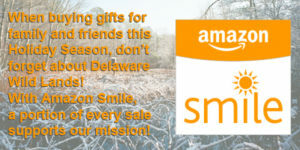 Get updates and news by email from Delaware Wild Lands.